Spirit Regal Slub Canvas. 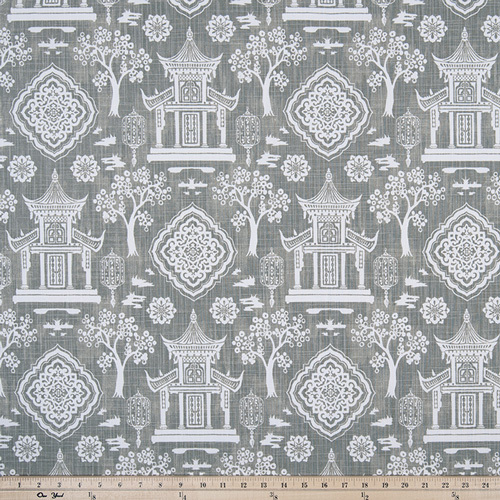 Asian toile print in white on a gray background background. Medium weight fabric suitable for drapery, decorative pillow covers, headboards, handbags or light upholstery. 100% Cotton Slub Canvas 8.7 oz.